In this tutorial we have given the procedures to install the ADB/Fastboot drivers in Google Nexus 4 device. All in one tool kit is now available for Google Nexus 4. The features of the all-in-one toolkit is mentioned in the given below link. Users are requested to click on to the given below link and see its features. The major advantage of installing the ADB/Fastboot drivers is; if you install it once you can easily unlock the bootloader, easily root your phone and perform other ADB/FASTBOOT Functions.The drivers can now be installed directly via the all in one toolkit option 1 in the above mentioned link. DISCLAIMER : Use the given below procedure at your own risk. We would not be held responsible for anything goes wrong in your device by following this procedure. 1. If you don’t want to use the toolkit to install the drivers then the best drivers to try are PdaNet for Android, download and run the 32-bit Windows 7/Vista/XP or 64-bit Windows 7/Vista and follow the instructions to install. 2. After the drivers have been installed disconnect the USB cable and shut down your phone. Keep holding the ‘Volume Up’ and ‘Volume Down’ buttons and press the ‘Power’ button to boot the phone into FastBoot Mode. 3. Goto your Control Panel on your PC and open the Device Manager so that you can see whether the fastboot driver is installed or not. If not so then you can install it manually. 4. Now again connect your device via USB cable. In the device manager a new item called “Android 1.0” should pop up and then the driver should install automatically. 5. Once it is installed you will have a new section in the Device Manager called Android Phone without an “!” which means that your drivers installed correctly. Just make sure you enable the USB Debugging in Settings, Developer Options before connecting the USB cable in ADB Mode so that the PC can detect the phone properly. Suppose, the driver does not install automatically then double click on the Android 1.0 item, then click on the driver tab and select ‘update driver’. Select “browse my computer” and browse to the Google Nexus 4 Toolkit\driver folder. Make sure sub folders is ticked then only the drivers should then be installed correctly. 1. First download the Google Nexus 4 Toolkit package and run to install the Toolkit to your PC. 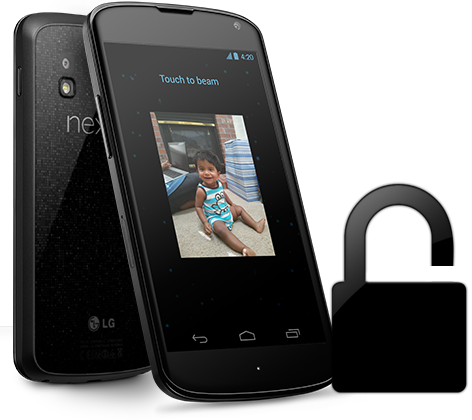 The installation will also create a Shortcut on your desktop called ‘Nexus 4 ToolKit’ for easy access. 2. You now have the option to include or exclude the drivers files at installation so if you already have your drivers set up and are just updating the ToolKit then you can untick the drivers if you wish. 3. Once the toolkit is installed double click on the “Nexus 4 Toolkit” shortcut on your desktop to run it; you can run the ToolKit with your phone in Adb or Fastboot Mode. 4. When you enter the Main Menu you will see ‘Fastboot Mode’ and ‘Adb Mode’ at the top. If you have installed your drivers correctly then you will see your phones serial number under the mode you are in at the time. If you see this then your device is connected and you can carry on. 5. Each option has full and detailed information on what it is and how to use it. 6. When you want to exit the toolkit please use the ‘X’ Option from the main menu as this will terminate the adb process and not leave it running in the background.